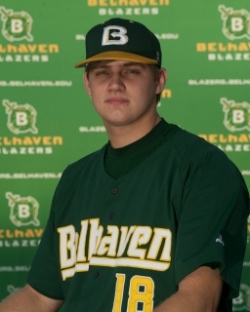 Kyle Wheeler, a 2013 graduate – Sports Administration major and BU baseball player – was selected in the 26th round of the 2013 Major League Baseball Draft. The list of Mississippi drafted players is below. Kyle is #26 on this list. Congratulations Kyle . . . and congratulations to Coach Hill Denson for allowing another BU player to get an opportunity to play professionally. This entry was posted in Athletics, Belhaven by Dr. Roger Parrott. Bookmark the permalink.